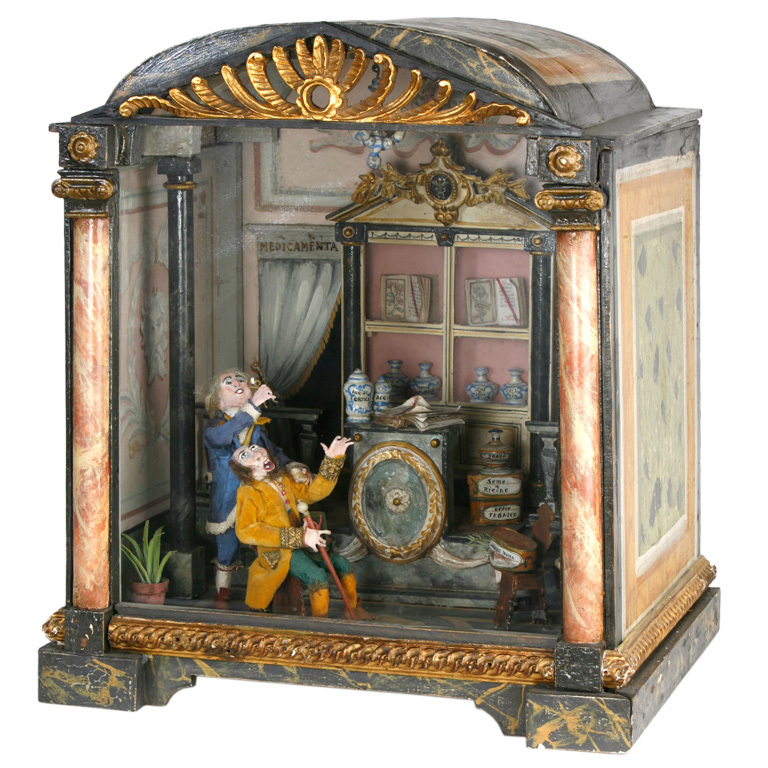 This diorama of a 17th century pharmacy is thought to be from 1900-1920. It was spotted on the auction site 1STDIBS. The elegant surroundings are not easing the patient's pain.